There comes a time when we secretly wish our computers had a different OS. Whether you are a developer or a designer, there are plenty of reasons you would want to switch to a more competent operating system other than the one you have. A couple of decades ago, not many people would have imagined using two operating systems on a single machine. For example, if you were a loyal Windows fan, you could only use the Apple OS if you invested in an Apple computer. Surely the technology and tech environment let’s say 2 decades ago was more challenging than it is today, but our lives were simple. The reason – we didn’t have the option to choose between a variety of operating systems. Fast forward to 2017, the app development industry is more complicated than ever, making it mandatory for programmers and IT specialists to keep up with the latest and more importantly, relevant operating systems. However, the same industry has far more conveniences. Today, there are thousands of commonly used software and applications that were once considered impossible. Programmers have to resort to different types of operating systems for creating mobile apps. Apart from doing a great deal of research on the operating system, developers need to identify their audience. So this means a developer needs to have different computers for using various operating systems such as Windows, Mac, and Linux, right? Well, no! If this were to be the case, software houses would run out of not only space but also money. If you are a programmer or just a user desiring a specific application exclusive only to a particular type of operating system, there is good news for you. With the introduction of Virtualization, our industry has been changed for good. The time has come where you can conveniently switch between different operating systems on a computer using a virtual machine. Well, it is a platform that, once installed on your computer, allows you to run different operating systems alongside one another. For example, you could run Windows on a MacBook. If you own a Windows-based computer and need to go for iOS or OSX due to their unmatched benefits and flawless features, you can do so without buying an overly expensive MacBook. When you utilize virtualization apps, your OS is commonly referred to as the Host, and the secondary OS is called the Guest. There are a number of virtual machines out there that you can go for. However, the wide range of choices makes it even more confusing for developers to choose the right one. If you are looking for a virtual machine that suits your business and creativity needs the most, there is nothing to worry about. We have screened out the top 5 applications to make the job easy for you. Have a look. VMware is one of the oldest virtual machine applications available and is more than ideal platform for not only professionals but also home users who simply want to get access to apps exclusive to operating systems other than the ones they own. VMware allows programmers, coders, and other computer geeks to run different applications on different virtual operating systems at once. It comes in three variants, namely VMware Workstation, VMware Fusion and VMware Workstation Player, which come with a price tag of $250, $80 and $0 respectively. While Fusion and Workstation cater to those looking for extremely advanced virtualization, Player is used mostly by Windows users trying to run iOS, hence serving for virtual Mac. While installing and integrating them with the host OS is quite quick and easy, controlling the higher two trims is a bit complex for beginners. VirtualBox is one of the most commonly used virtual machine applications and offers a wide range of powerful and highly practical features. Moreover, this app allows easy and quick integration regardless of what type of system it is running on. VirtualBox can be installed on a number of platforms, hence allowing users of various operating systems to benefit from it. To make the experience even more useful and productive, VirtualBox can be integrated with specialized software packages to facilitate sharing folders and files of nearly all formats to be easily shared between the virtual and host operating system. In addition to the many features it offers, you can enjoy its highly advanced 3D virtualization along with multi-screen resolutions. However, you might need a relatively recent Intel, AMD or Apple processer to run VirtualBox. Best of all, it comes with no price tag at all. So if you are looking for a free virtual machine application to give your online business a boost, VirtualBox is the answer. Short for Quick EMUlator, QEMU is mostly used by hard-core programmers and designers using complex OS such as Linux. This virtual machine application is one of the most customizable virtual machine applications available and allows the virtual operating system to integrate fully with the hardware. If you need to go for the fantastic and unmatched designing features of Mac and have some other operating system in your computer, QEMU would be perfect as it is regularly updated for better integration and user experience. It comes free for all the users out there. However, some features do have a price tag attached to them. Moreover, its installation process is more than easy and quick. Also, unlike most virtual machine applications, QEMU does not take too much space in your computer, therefore, making it convenient for users to literally carry it in a USB flash drive. Apple’s operating systems have (almost) taken over more than half of the computing world. This is simply because of its unmatched security, lower updating costs, quick recovery in case of data loss and excellent compatibility. IOS and OSX have become more than perfect for not only graphic designers but also videographers, programmers, and app developers as they support nearly all kinds of applications. Therefore, switching to Apple’s OS is always a wise option, at least for specific applications out there. If you do not have MacBook in your workplace or home, do not worry as Virtual MacBook can help you overcome that problem in the blink of an eye. For those trying to experience Mac on a Windows-based machine, Parallels Desktop 11 serves as one of the best solutions. While it can work the other way around, it is more commonly used for virtual Mac, which allows users to enjoy Mac’s unmatched features and apps such as XCode for getting creative. Moreover, Parallels can integrate a number of operating systems including, but not limited to, Windows 7, 8, 10 (and surprisingly XP too! ), Linux, Solaris OS X, OS X El Capitan, etc. Parallels also offer 3D graphics and support Retina Display. If you are looking for something that can allow you to run Apple operating system, you might want to consider Parallels Desktop 11. Virtualization is the present, and it is definitely the future. If you have not started using a virtual machine, you might not only slow down the growth of your business but also allow its rivals to get an edge. However, it is still not too late to become time and cost-efficient. 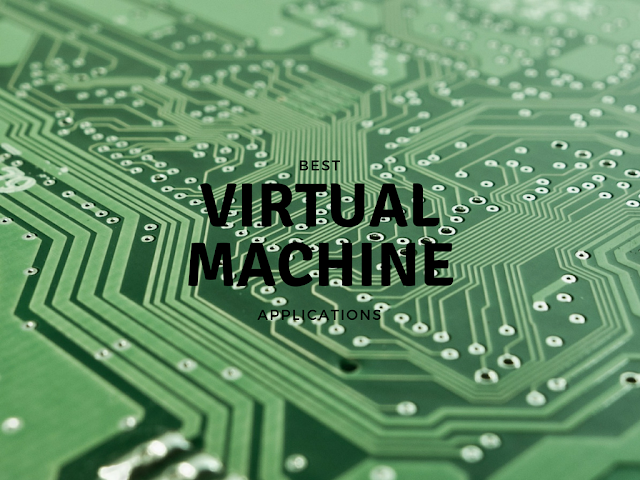 Try one of these virtual machine applications and enjoy different operating systems running on a single unit.